Looking for a DOT Physical Exam or CDL Physical Exam in Greeley , Colorado? You’ve come to the right place! Take 65th avenue north off of highway 34 to west 20th street, go west to on west 20th street to 65th avenue and go north. 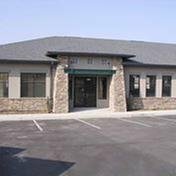 Office is located just west of the Greeley youth sports complex. Dr. Tanner C. Johnson, DC is a 2014 graduate of Palmer College of Chiropractic. He has been certified by the National Registry of Certified Medical Examiners since April 2015.